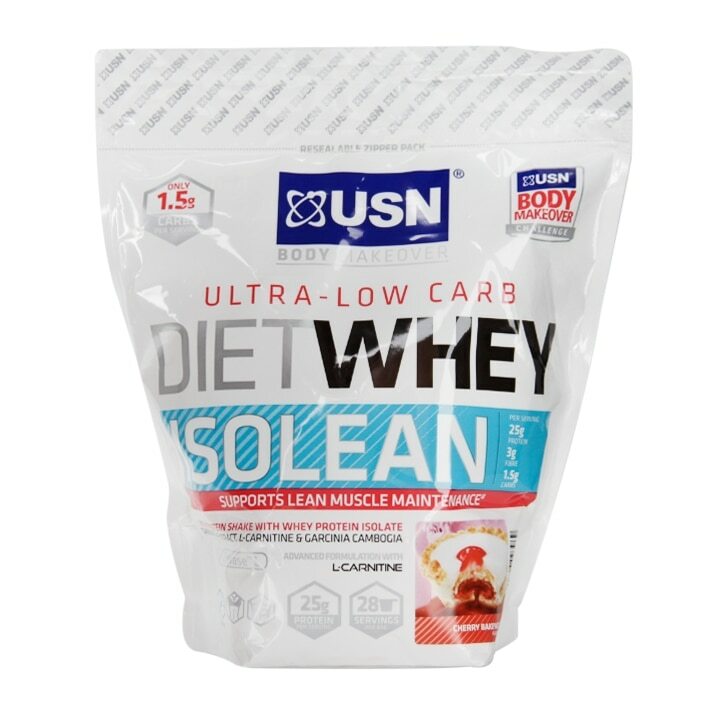 USN Diet Whey Isolean Cherry Bakewell is rated 3.3 out of 5 by 6. Rated 1 out of 5 by Tudor from Ordered October 11 - expires November 28 How is this possible? My disappointment is immeasurable How am I supposed to consume 2 kg of this in a month? This never happened to me when ordering any supplements in the past. I am extremely disappointed since now I have to force eat this product before its expiry date. This was the one time I tried USN, I always stick with PHD but a close friend recommended it and I said why not? I will never trust USN again. The flavour is much like melted candy or melted ice cream with a hint of cheesecake- overall delicious. It mixes well with water or milk. Everything is great except I now have to consume a huge amount in a short time span. All of my ratings have been impacted by the extremely short expiry date, which again is unbelievable. My disappointment is immeasurable and my day is ruined. Rated 3 out of 5 by AliMcL from Thin protein drink, taste not so bad Definitely the thinnest, most watery protein shake I've tried to date. On the plus side, this makes it a good post-workout drink when you're thirsty. The cherry bakewell flavour is a bit odd but not bad - at least it doesn't taste like it came from a child's chemistry set as with many other brands. If it was more affordable, I'd rate it more highly, I guess.